271010 PC2-2 V400 S.E.M.T. Pielstick PC2-2 V400. (8, 10, 12, 14, 16 and 18 cylinders) Inspection and Maintenance Manual. 271021 6CHN 40/46 6CHN 40/46 Russkiy Diesel (Pielstick PC2.5) Parts Catalog. ENGLISH, FRENCH and RUSSIAN LANGUAGES. 271030 PC, PA Service Technical Information (Service Bulletins) for S.E.M.T. PIELSTICK PC TYPE ENGINE. 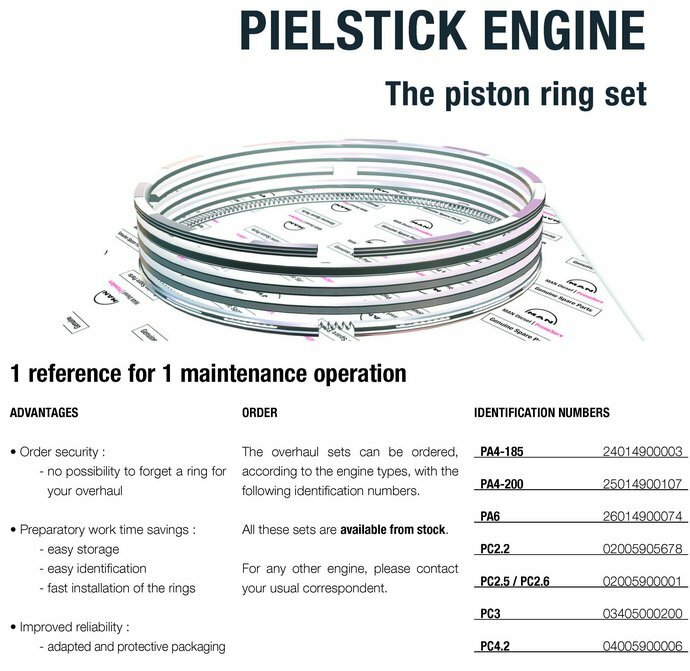 Free bonus for any Pielstick Instruction Book order. 271040 PA6 Technical data and dimensions S.E.M.T. 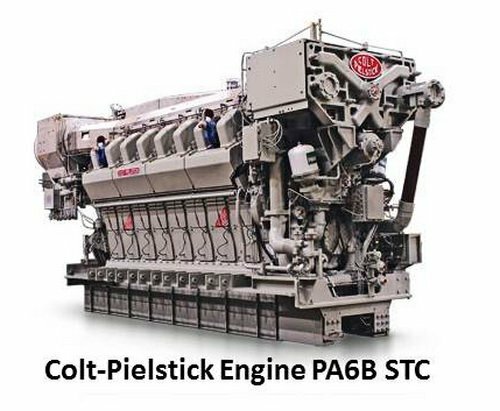 Pielstick Diesel Engines - PA6 B GENSETS (3 900 to 6 900 kW at 900/1000 rpm), PA6 STC AND PA6 B STC ENGINES (3 880 to 8 100 kW at 1 050 rpm), PC 2.6 B ENGINES (9 000 to 15 000 kW at 600 rpm). Free Download.